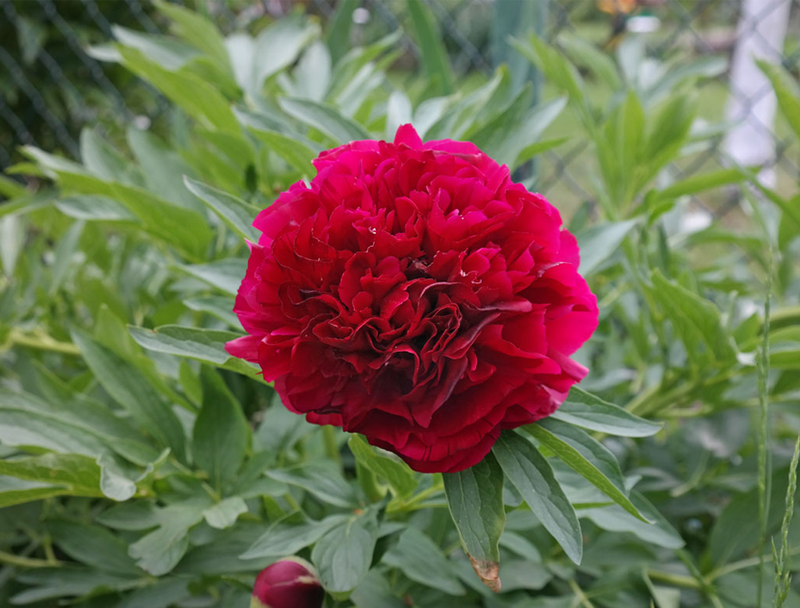 Peony has many thick, long-spreading, perennial roots, running deep into the ground, with an erect, herbaceous, large, green, and branching stem, about two or three feet high. The leaves are large; leaflets ovate-lanceolate and smooth. The flowers are large, red, and solitary; and fruit a many-seeded, fleshy follicle. Paeonia officinalis var. anemoniflora Hook. Paeonia officinalis var. feminea L.